﻿ Nonjitmul Beach House, Jeju Island | FROM $76 - SAVE ON AGODA! Have a question for Nonjitmul Beach House? 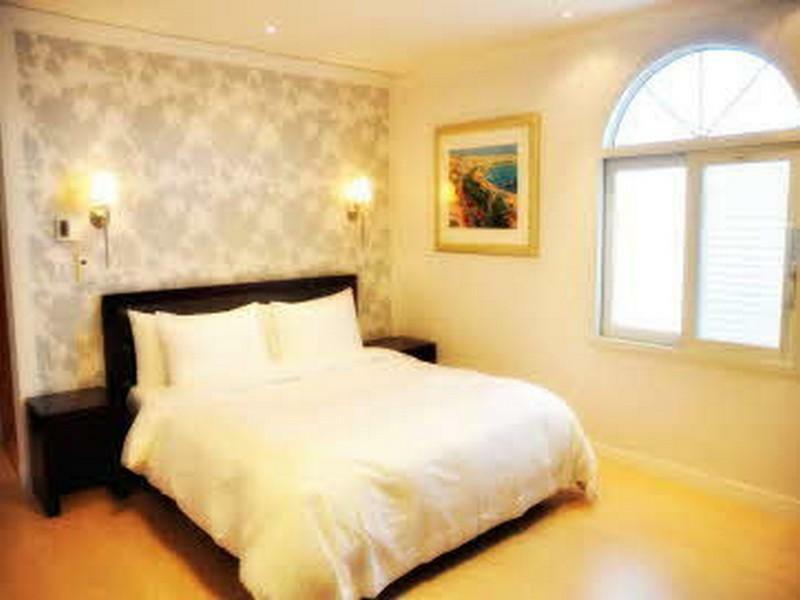 Offering quality accommodations in the sightseeing, family fun, beaches district of Jeju Island, Nonjitmul Beach House is a popular pick for both business and leisure travelers. From here, guests can enjoy easy access to all that the lively city has to offer. A well-kempt environment and its proximity to Hyatt Hotel Casino, Jeju Shilla Hotel Casino, Jungmun Golf Club give to this hotel a special charm. Nonjitmul Beach House offers impeccable service and all the essential amenities to invigorate travelers. Top features of the hotel include free Wi-Fi in all rooms, car park, concierge, smoking area. Hotel accommodations have been carefully appointed to the highest degree of comfort and convenience. In some of the rooms, guests can find television LCD/plasma screen, internet access – wireless, internet access – wireless (complimentary), non smoking rooms, air conditioning. The hotel offers many unique recreational opportunities such as outdoor pool. When you are looking for comfortable and convenient accommodations in Jeju Island, make Nonjitmul Beach House your home away from home. The room was wonderful! The non-English speaking staff was extremely accommodating, as much as they could without speaking English. It is a 5,000 won ride to the nearest bus and 10,000 won to the larger bus terminal. There is no food on-site but there are expensive small shops for coffee and convenience foods close by. Very secluded and on the water. The outdoor pool was not open. I was the ONLY customer for the first night, and had trouble locating the staff to check-in. After calling agoda, they managed to contact the owner. Thereafter, the experience was pleasant. Nice sea front view of palm and waves. You need a car to get here. Superb ocean view, huge room and extremely comfy bed and pillows. There were local restaurants within walking distance. A 3 minutes walk to the beach with a wonderful sunrise. Fantastic stay at the hotel. The sea view was beautiful and the sunrise was great. Room was huge, clean and comfortable. Best hotel I have stayed in Jeju. It has small local restaurants within walking distance. Lovely, modern room with great balcony view of the ocean. Warm, attentive staff. We were a bit off-season and booked at the last minute, arriving at 2 pm (a bit early). The staff on hand didn't speak English but efficiently figured out how to get us checked in. Also because it was a bit off-season the pool was closed. This location is a bit remote, very peaceful and quiet but next time we will rent a car near the airport so we won't be so dependent on taxis. No food, boutique hotel, a bit far, fab sea view. Room very clean. There is a swimming pool but very small, almost could not use. All rooms hv sea view, and backed by mountain. Very good and fresh air. And it is a fabulous experience to sleep with sea wave voice. 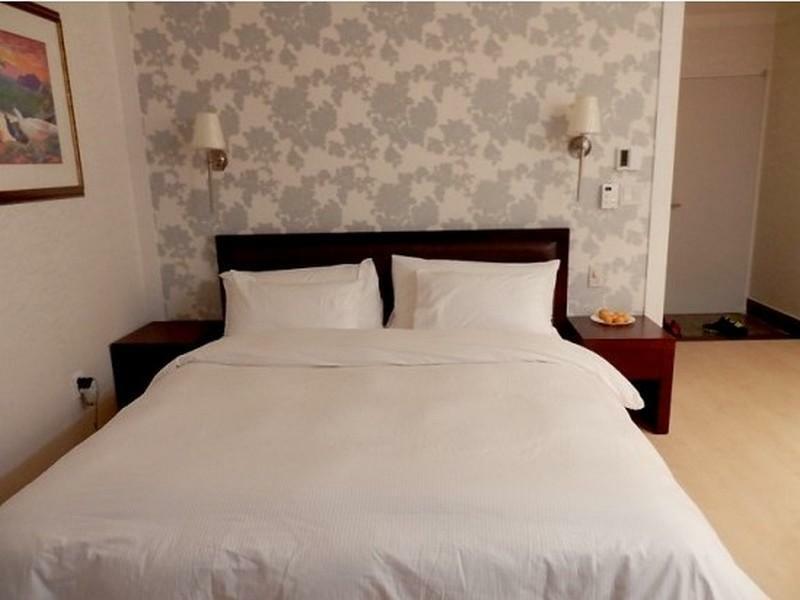 Wonderful stay, large room with king-size bed, high-end bathroom with granite. Some issues with finding our booking from Agoda (and a language barrier), but the host was gracious and gave us a room key even without fully resolving the issue. Great sushi/grilled fish restaurant just down the road on the beach. Definitely check out the "seawater foot bath cafe" across the street, it was a unique treat to soak our feet and enjoy an iced drink. The host was super sweet, even with a language barrier, she checked in with us as we came and left to make sure we had everything we needed, if we needed dinner recommendations, etc. Je voyage une fois beaucoup et cet hôtel malgré son emplacement éloigné, est un coup de coeur. Belle chambre spacieuse, des grandes vitres avec filet pour éviter les insectes, une vue incroyable, des lits king size, grande tv, grande salle de bain etc... Cet hôtel vaut le déplacement et son prix. 편안하고 뷰가 좋습니다. 청결상태도 좋았습니다. 10만원대 초반의 숙소에서 기대하기 힘든 퀄리티였습니다. 건물의 짜임새나 인테리어 자체가 날림으로 마구 지어진 펜션이랑은 완전히 달라요. 테라스도 넓고 방에서 보이는 풍경도 좋습니다. 주인 아주머니도 무척 친절하셨구요. 중문관광단지 바로 옆이라 이동도 편했습니다. 해수욕장 인근 숙소를 원하면 그 부분은 좀 아쉬울 수 있지만 그게 아니라면 정말 좋은 곳입니다.